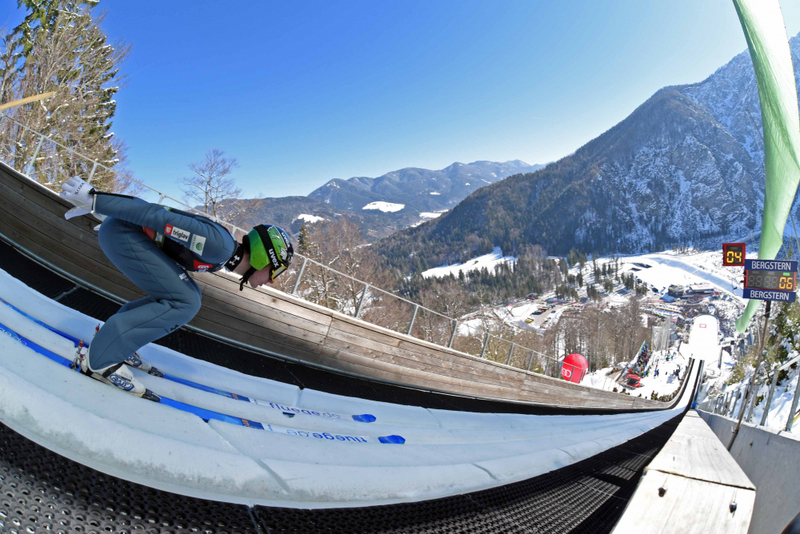 The world’s best ski jumpers have gathered in Planica today to attempt to qualify for the final competition of the 40th World Cup season. They were cheered on by 13.000 thousand spectators, mostly children, who were enjoying extremley long jumps and picture perfect weather in the valley below the Ponce. The winner of qualifications was Japans Ryoyu Kobayashi with 248 meters and 247.8 points. He was followed by Marcus Eisenbichler from Germany who had the same distance. Timi Zajc was third with personal best (236 m). Nine Slovenian Eagles secured their place in the first round. Domen Prevc was fifth with 228 meters, Anže Semenič was 21st with 212 m, Peter Prevc was 22nd with 222 meters and Bor Pavločič 29th with 216,5 m. He was followed by Tilen Bartol (229 m). Žiga Jelar took 33th place with 214 m while Jurij Tepeš was 35th with 224 meters. Unfortunately Jernej Damjan (204 m), Robert Kranjec (203,5 m) and Anže Lanišek (200 m) were all too short for tomorrow's competition.